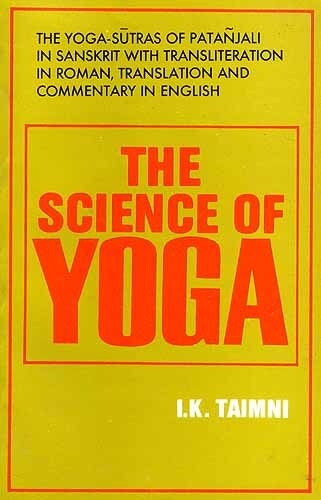 Taimni was a biochemist and his scientific viewpoint helps aid Westerners to understand the subtleties of Patanjali's yoga sutras. The author also starts each sutra with the Sanskrit and the translation before the commentary. He even includes diagrams to help the reader. The yoga sutras are a roadmap to spiritual progress. Taimni makes them exciting and useful to yoga practitioners and meditators, no matter if they are beginners or advanced. A sample set of quotes on pranayama are: "Deep breathing has nothing to do with Pranayama", "Real Pranayama begins when the breath is stopped for some time between inhalation and exhalation." For the advanced meditator who is interested in the last three stages of the eight fold path (dharana, dhyana, and samadhi), Taimni's commentary shows he is well-versed in those states of mind. For example, "In practicing Dharana, it is found that as the depth of abstraction increases and the grip over the mind becomes stronger, the frequency with which the distractions appear becomes smaller." The last half of the yoga sutras dwells on the advanced states of samadhi (including samyama) and here Taimni shines with detailed advice, unlike most other authors of similiar commentaries. "When the Yogi performs Samyama on any quality his mind becomes one with that quality for the time being as has been explained in I-41. The positive qualities like courage, compassion, etc. are not vague nebulous things as they appear to the lower mind but real, living, dynamic principles of unlimited power which cannot manifest fully in the lower worlds for lack of adequate instruments." For me, Taimni's Science of Yoga has been a life-long companion and a handbook to higher consciousness.